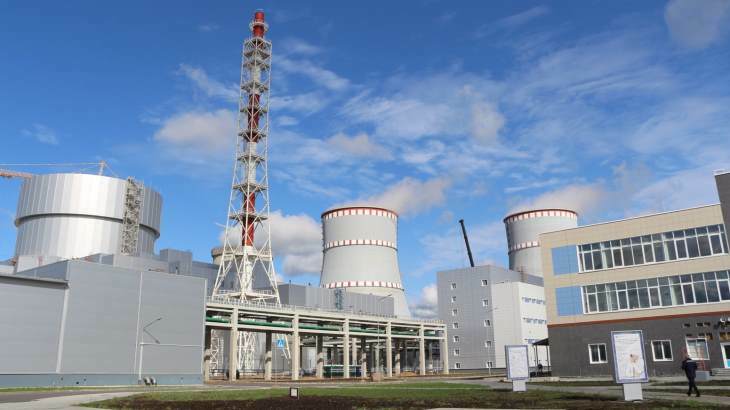 Russian regulator Rostechnadzor has issued a permit for the commissioning of Unit 1 of the Leningrad Phase II nuclear power plant in northwest Russia. State nuclear corporation Rosatom said on 20 September the permit confirms that the unit is "fully ready for operation". Rosenergoatom - Rosatom's nuclear power plant operating subsidiary - announced on 22 August the completion of the final commissioning test, which involved operating the VVER-1200 reactor at nominal power for 15 days. The readiness of the unit to enter commercial operation must then be confirmed by Rostechnadzor, it added. In the 20 September statement, Alexander Rudnik, chief engineer at the Leningrad plant, said the regulator had inspected several thousand pieces of equipment involved in the power distribution system, as well as the buildings and premises in which the unit is located. "The results of the inspection showed that the installation and commissioning of electrical equipment had been carried out in full and to a high standard," Rudnik said. Tests carried out at the pilot industrial operation stage, including the final 15 days of testing of the power unit at the nominal power level, had confirmed the stable and reliable operation of the electrical equipment, its compliance with the established technical requirements and design characteristics, he said. "This means that we will be able to fulfill our main task, which is to provide the region with such an important source of electric power, safely and without interruption," he added. Having received the permit, the operator will prepare the main and auxiliary equipment for commissioning of the unit. On completion of this work, the operator will then apply to the regulator to put the unit into commercial operation. Leningrad II-1 is scheduled to enter commercial operation before the end of this year, becoming the second VVER-1200 reactor to start up, following the launch in 2016 of Novovoronezh unit 6.